Happy belated May Day – a great day to reflect on the true value of Labor and the importance of the workers of the world. 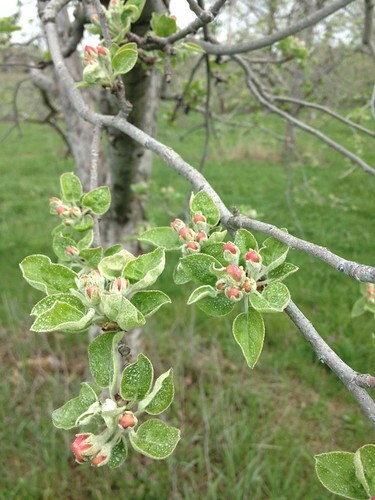 Right now on the farm, the Paula Reds (our earliest-ripening variety) are in pink – bloom maybe a week away or so! 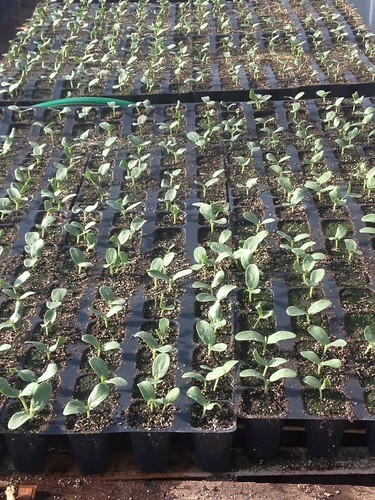 Here’s a pic of our Charentais melon seedlings in the greenhouse. If you are really interested, someone actually has a dedicated page to honoring this fine fruit typically found in southern France.